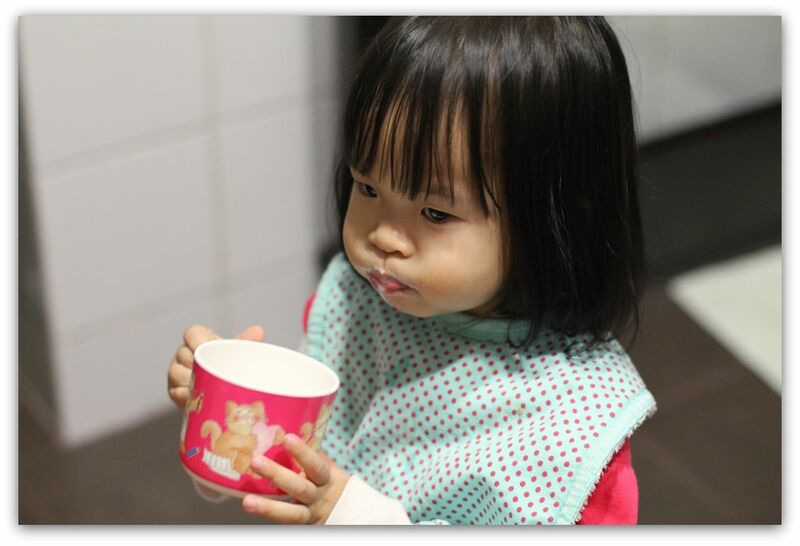 We introduced fresh milk to the Bubs some time back, but it has only been recently that she takes it on a more regular basis. ﻿She absolutely loves it! You should see her run to the kitchen door when she knows I'm getting it for her. Fresh Milk! She says. Yummy! A bib is a must since she's already in her PJs and ready for bed. She always end up with stuffed cheeks. Can't help but fill her little mouth with as much of the yummy stuff as possible. Thank you dear readers for helping spread the word about Project Spare Attire! Th﻿e team has been hard at work sorting out the items to sell. all going at prices that will not rock your wallets! I spied some awesome cocktail dresses too. :) Nat still drinks fresh milk, from the bottle! 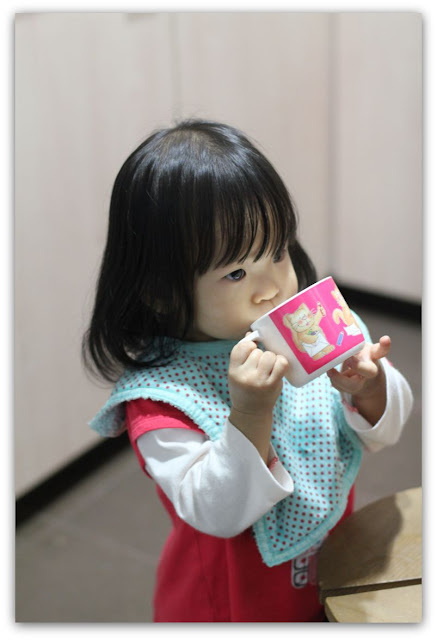 Her dainty little fingers holding onto her cup, is cute cute cute cute cute! So good that she loves her milk! And so cute! :) I still have to chase the boy with his mag mag cup, since he'd rather drink the human version! Oh, I on the other hand really wish I could have breastfed for longer! Her eczema appeared when I started formula :( although thankfully it is controlled now with doc's creams. Btw how do you wash the mechanisms of a Mag Mag cup? I could never get it completely clean! Sorry to hear about the eczema.. and glad its under control with creams! 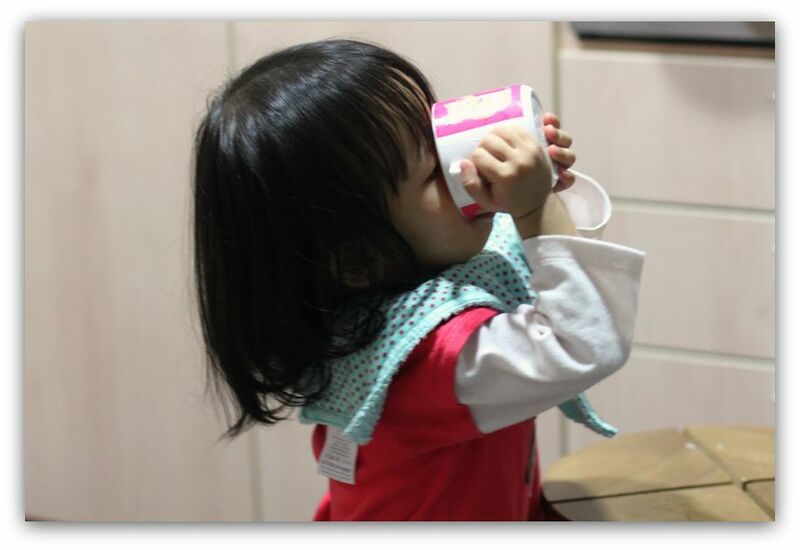 She is so smart to drink for a cup in such young age!! Bravo!! 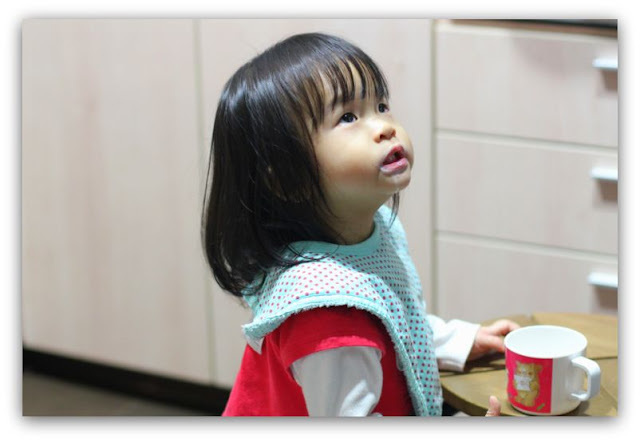 Not that young liao :) 19 months!